"There are several books on the market now that claim to take readers into the intricacies of health economics 'from first principles'. To me, this book succeeds better than any." 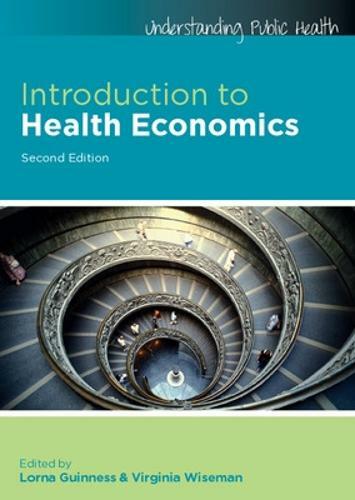 "This book would be an excellent choice for anyone wishing to be introduced to the field of health economics - it is undoubtedly the best `Health Economics 101' textbook around ... There is a desperate need for a greater understanding of health economics principles among health system policy-makers, managers and researchers; this book will contribute enormously to developing such understanding." This practical text offers the ideal introduction to the economic techniques used in public health and is accessible enough for those who have no or limited knowledge of economics. Written in a user-friendly manner, the book covers key economic principles, such as supply and demand, healthcare markets, healthcare finance and economic evaluation. Extensive use of global examples from low, middle and high income countries, real case studies and exercises to facilitate the understanding of economic conceptsA greater emphasis on the practical application of economic theories and concepts to the formulation of health policyNew chapters on macroeconomics, globalization and health and provider paymentsExtensively revised chapters on demand and supply, markets and economic evaluationIntroduction to Health Economics 2nd edition is the ideal companion text for students, public health practitioners, policy makers, managers and researchers looking for a greater understanding of health economics principles. Series Editors: Rosalind Plowman and Nicki Thorogood.